With a passion for empowering and developing people to exceed their potential, she obtained a degree in Human Resources Development and moved to Co-op Travel (Travelcare) becoming their Training and Development Manager. During her time at Co-op Travel she won two national training awards. 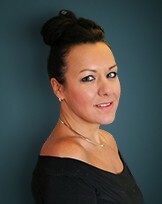 In 2005, Fiona emigrated to Cape Town, to become Head of Sales, Operations and Organisation Development for Go2Africa.com, adding luxury FIT management and online travel to her portfolio of skills. After several successful years at Go2Africa she returned to leisure travel as National Sales and Organisation Development Manager for Pentravel. In 2013, Fiona co-founded Big Ambitions as their People Director, where she helped prominent international businesses to recruit and train travel people. Fiona now leverages her vast network of contacts together with her knowledge of travel and tourism to source, identify and place talented travel and tourism candidates.